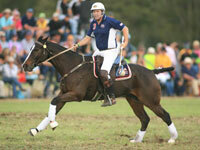 At Icewood, top quality training services are provided to owners of all breeds of horse. Maryanne understands how valuable these animals are both monetarily and sentimentally, and treats them accordingly on an individual basis. The technique Maryanne uses cannot be pigeon-holed as it is a product of many years of experience coupled with guidance from top trainers. Her father Vic Gough and uncle Glen Gough, both famous Australian horsemen, have had a very big influence; as has Todd Crawford & John Swales, both Reined Cowhorse trainers in North America. These influences, plus those of many other trainers in industries which include Polo, Dressage and Showjumping, have made a marked impact on her current style of starting and training. 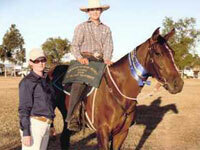 Maryanne's horses are renowned for their working ability and high standard of presentation. L-R: Cadabra and Maryanne show their winning Reined Cow Horse style in Alberta, Canada; Maryanne with her first Reined Cow Horse Futurity prospect, Topsails Rosebud (owned by Natalie Jackman), showing competitively in their first major Reined Cow Horse futurity; Rubys Diamond, broken in and trained by Maryanne before coming a successful youth mount. 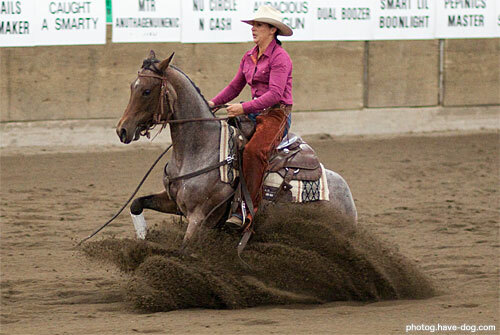 Maryanne's time overseas involved running clinics and providing lessons, along with her horse training services. She specialised in Ladies Horsemanship where she encourage the riders to become more assertive and in control of their horses, all the while, gaining valuable confidence. Travelling from New York to Florida in the United States early in 2010, she gave large numbers of lessons, performed demonstrations and ran clinics for both United States Pony Clubs and members of the American Polocrosse Association. Clinics are strictly number limited and always provide one-on-one time with Maryanne. Lessons are the best way to address specific issues, whilst being part of a clinic setting will allow you to not only learn from your own situation, but also from those of others. 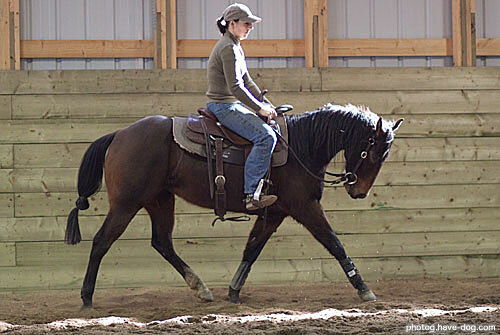 "I have known Maryanne since 2008, and in that time, I have found her to be an extremely capable horsewoman. She has broken-in some difficult horses for me and in the fall of 2010, worked exclusively at my stables where she was responsible for starting my entire string of 2yo cow horse and cutting futurity prospects. I would not hesitate to recommend her services to anyone and she is welcome to come back and work with me anytime." 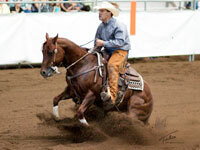 "Maryanne Gough has changed the way I think about my riding. After spending over a month at my farm training my horses and giving me lessons, I was sold after seeing the results. Maryanne is not only phenominal at teaching horses how to use their abilities to their max, she is also great at articulating how she does it. She can teach the student to be a trainer. That's rare in the horse world today. I can definitely say that I could never take enough lessons from Maryanne. My polocrosse horses knew nothing substantial before Maryanne, but the following season after her visit, they were top horses, dominating the competition." “I had the amazing opportunity to attend Maryanne’s clinic in Cudal, NSW. Maryanne has an amazing talent and I have learnt so much from her! She has helped me so much with my horses, and taught me how to get the best out of them. I recently competed at my first ASH National Championship Show, winning the ASHLA event with a score of 98. Maryanne’s unique training system has helped me get the best out of my horses and compete with success in my Working classes. It was amazing to watch Maryanne compete at the same event, and how her horses respond to her body movements without fuss and work beautifully. 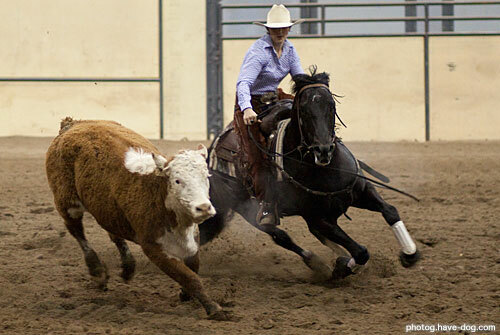 If you ever get the opportunity to attend a clinic with Maryanne Gough I highly recommend it.'" "Maryanne's professionalism, training techniques and attention to detail produce outstanding results. We have trusted our horses with Maryanne for many years now and have always been confident that they are treated as individuals and their every need is catered for. She really gets the best out of the horses without rushing or asking too much. The horses look fantastic and are always in the winners' circle. 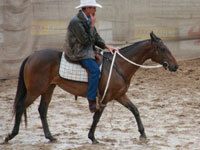 We wouldn't send our horses anywhere else!" "Maryanne did a superb job preparing our horses for the Dalby ASH Sale - we acheived results beyond our expectations and the preparation and presentation was without fault. As a true professional, Maryanne attends to even the smallest detail and more. 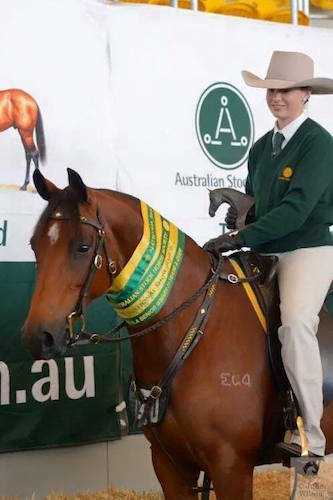 To acheive the ultimate sale result, she endeavoured to find potential owners that would suit the particular horse; matching our gelding Kyeema Quiksilver with a rider who took him on to compete successfully on the Campdraft circuit, recently winning the 2009/10 ACA Super Quest competition. We would not hesitate to recommend her." "In horse training, there is no actual definable technique; there is only the ability of each rider to find the right measure of tact to present the questions in such a way as to be acceptable to the individual needs of a particular horse."